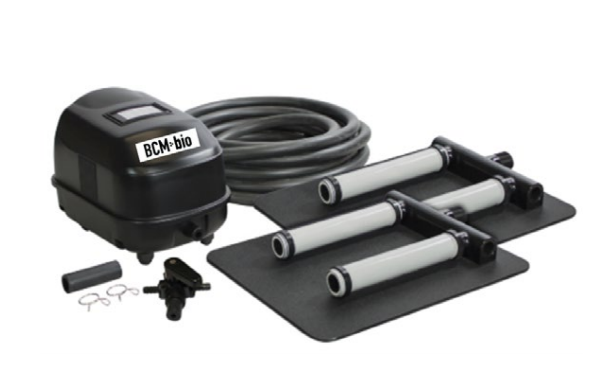 BCMbio Pump Station O2 (PSO2) Aeration Kits are the ideal choice for aerating wastewater lift and pumping stations. With these energy efficient commercial duty diaphragm compressors paired with a low maintenance, non-stick PTFE Membrane diffuser bar, your station will receive the benefits of high dissolved oxygen (DO) levels efficiently and effectively. BCMbio PSO2 Aeration Kits have proven to be an excellent supplement to bioaugmentation. Air Filter Cleaning: Unscrew the cover on the back of the compressor to expose the air filter. Remove the air filter and brush away any dust particles. Air filters should be replaced every 3-6 months. 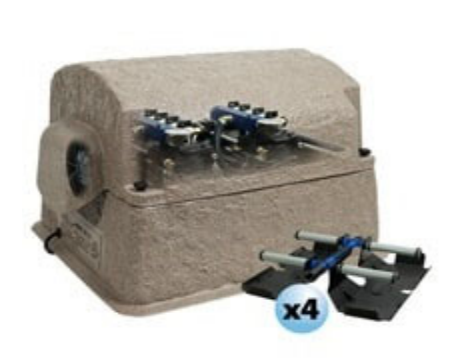 It is recommended that you perform diaphragm maintenance every 12 months.